From a review of the second edition:"This book covers many interesting topics not usually covered in a present day undergraduate course, as well as certain basic topics such as the development of the calculus and the solution of polynomial equations. The fact that the topics are introduced in their historical contexts will enable students to better appreciate and understand the mathematical ideas involved...If one constructs a list of topics central to a history course, then they would closely resemble those chosen here. 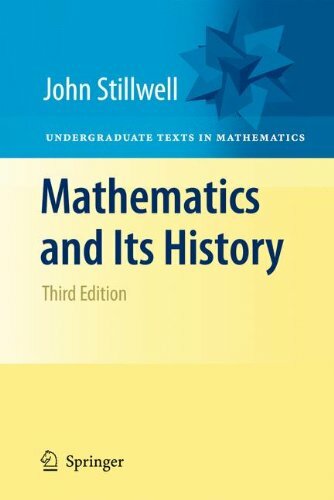 "(David Parrott, Australian Mathematical Society)This book offers a collection of historical essays detailing a large variety of mathematical disciplines and issues. it’s accessible to a broad audience. This third edition includes new chapters on simple groups and new sections on alternating groups and the Poincare conjecture. Many more exercises have been added as well as commentary that helps place the exercises in context.